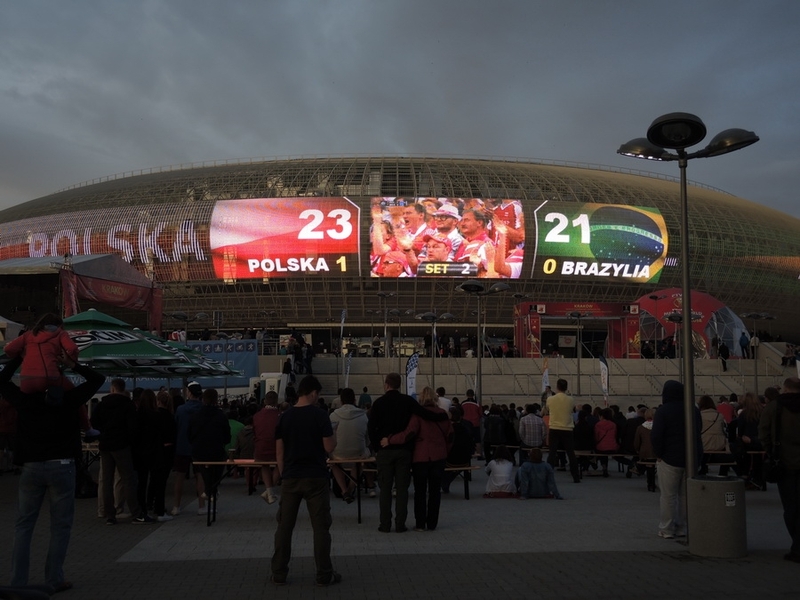 Colosseo has installed one of the biggest media façades in Europe and the biggest LED screen in Poland. 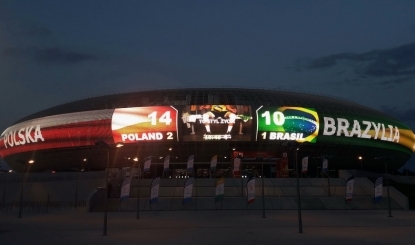 Colosseo’s media façade covers 5.100 Square meters and Poland’s biggest LED screen measures over 540 square meters. The Tauron Arena Krakow features an amazing circular metal latticework façade that is 18.000 square meters and is among the most incredible architectural structures in Europe. 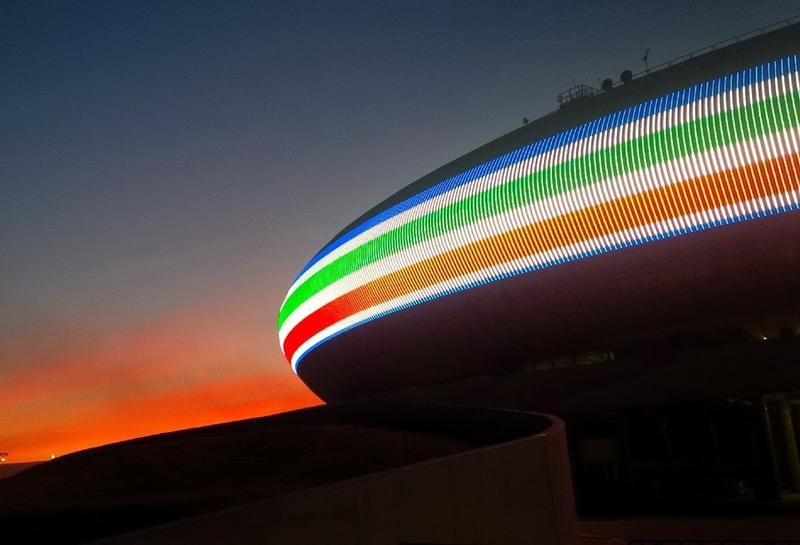 Colosseo saw an opportunity to put up an one of the most innovative lighting displays in the world! We attached aluminum stays to the latticework façade and then fixed 5.100 square meters of LED strip lighting to preserve transparency and create a unique design. 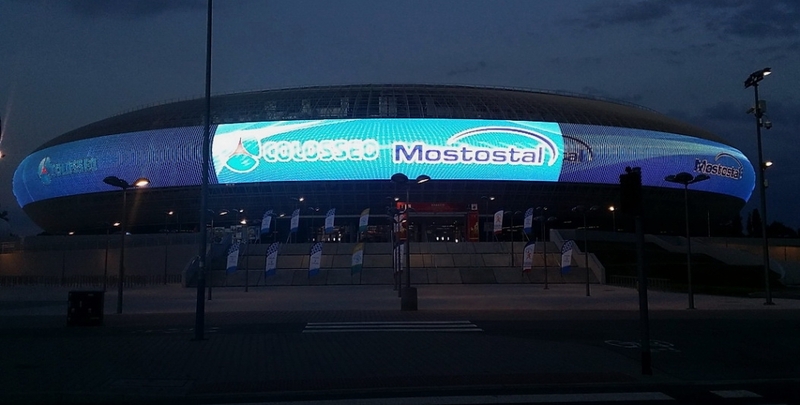 Where the strips are the densest though, just over the main entrance to the arena, is where our 54 meter by 10 meter “main screen” is located. 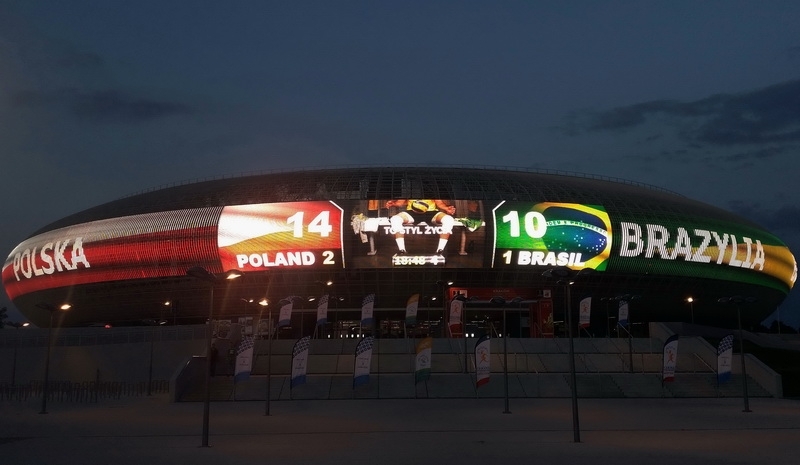 This amazing screen and the LED strip fasciae are both controlled by Colosseo’s third generation 16-channel Director HD, the same system that controls Colosseo’s full HD 360 degree video cube inside the stadium. Installation took 3 months of work and was involved more than 80 engineers and climbers. We used more than 80 tons of aluminum and 80,000 screws.